Politics aside, using personal email for business is a bad idea. 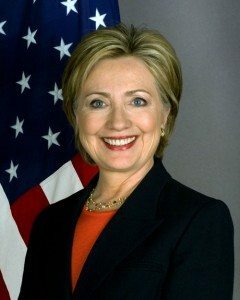 Debating whether or not Hillary knew or didn’t know or realize this, if her advisors did or didn’t tell her to avoid this mistake, is not the purpose of this blog post, but it is has reminded me how email is misunderstood and misused. For security and privacy reasons, government and large businesses require their employees to use their work email account for work-related business (and usually prohibit the use of work email for personal communication). For small businesses, using a personal email account for work-related business may not carry the same risks, but it is still a good idea to use separate accounts for personal and business communication. Email in general can be overwhelming. I often find clients who don’t understand how email accounts work, or how to set up accounts on their phone and/or mail client on their computer. Setting up and managing one or multiple email mailboxes can be intimidating. Warning: This may get a bit technical. If you would rather skip to the non-tech stuff, click here. If you have a Gmail, Hotmail, or other some email account, chances are you’ve used webmail (so, to read your email, you go online to gmail.com or hotmail.com and login). If you use a program like MacMail, Microsoft Outlook, Windows Live Mail, or Mozilla Thunderbird to manage your emails, you’re using an email client (so, you open Outlook or MacMail on your computer or phone to read your mail). Webmail is an application that is operated over the internet through a browser, usually with no downloaded applications or additional software necessary. Email clients are programs that are installed on local devices (i.e. your computer, the computers in your office, or your phone/tablet) to interact with remote email servers to download and send email. There are usually 3 options for setting up an email account in your mail client. The method you choose is important in ensuring your email messages are stored the way that best suits your needs. POP3 is the “old fashioned” way of connecting your mail account to your mail client. This method was easy to use when people had only one computer/device they used to access their mail. POP3 creates a local copy of your mail on your computer and deletes the original message from the server. The emails are tied to a specific computer/machine and cannot be accessed anywhere else. IMAP is the most commonly used method for connecting mail to your mail client. If you check your email from a lot of devices, phones, or computers, you should use IMAP. IMAP syncs your webmail with your phone/tablet and multiple computers, as it keeps messages on the server. The downside of IMAP is that, since it keeps all messages on the server, you can run out of space if your server has a limit. If you set up your mail account on your phone with the “Google” “Yahoo” or “Aol” choices that iPhones offer, you are using IMAP. Microsoft Exchange behaves much like IMAP but the server is a Microsoft Exchange server. This is mostly used by big companies. If you have your own business, using and email address that ends with “@yahoo.com,” “@gmail.com,” @msn.com” or other “generic” email addresses can send a message that your business is not professional. Your email address brands you, even when you’re not working. A professional email is the one that has your business name in it. For example info@yourdomain.com is a professional email rather having yourdomain@yahoo.com. There are a number of ways you can set up a professional email account. You can use the built-in mail server that comes with your web hosting service (such as GoDaddy, Bluehost, etc.). This used to be standard practice, but is now frowned upon, as Carrie Dills describes here. Hosting your mail where your website is hosted means that if you ever want to switch web hosts, you could lose email if you don’t copy all the messages from the server to a local backup on your computer, and if your website goes down, so does your mail. If you are hosting a WordPress website, many hosting companies are now offering managed WordPress hosting packages that no longer include email accounts in the price, since more people are hosting their proprietary email with mail-specific hosts. You can set up a “proprietary” email account using your domain with a mail host like Gmail, Yahoo, Microsoft Exchange, Hover or any server/host you choose. I use Google Mail Apps for Business and recommend this to my clients. For less than $5 per month, you can host your business/custom email account with Google. Since I also use Gmail for my personal (@gmail.com) account, I can easily toggle between the two mailboxes when checking my mail in a web browser, and the features and functionality are the same so I don’t have to learn a new system. In addition, I can use Google Drive, Docs, Calendar, etc. to share information between accounts and with my clients. While it may not be a formally announced practice, I also think having your business account with Google can help your domain index with Google for better Search Engine Optimization (SEO). For those who have a secondary/professional email account that is not on Google/Gmail, but who use Gmail for other email accounts, you can forward this secondary account to your Gmail account and Gmail will let you reply FROM that address, even if it not hosted with Google (As long as you own/have access to that secondary email hosting account and set it tot forward mail to your Gmail account). Follow these simple instructions to create a separate “reply from”/”alias” in Gmail. Once you have a mail account for your business and your personal messages, you can set each up separately on your phone and computer, allowing you to either check one at a time, or to look at “All Inboxes” to view everything at once. When you reply to an email, the response will come from whichever email address the initial message was sent to, or some mail clients will let you select which address you use for your response. During the work day, I try to view only my work email inbox, while periodically checking my personal account so I don’t get distracted. Having separate accounts doesn’t have to be just for personal and business use. Some people have a separate account they use for all of their ecommerce transactions, so all the purchase receipts, “junk” mail, coupons and “advertising” email doesn’t clutter up their main/personal email account. 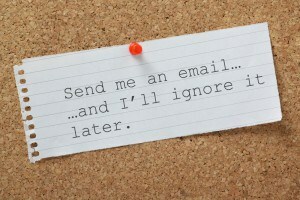 Do you have a love/hate relationship with email? I am addicted to email. I check it all the time, and try to reply, delete or file away emails to keep my inbox from overwhelming me. I have tried various apps, software and systems for managing email, but it still takes a chunk of time to go through all the email that comes in every day. As mentioned above, I use Gmail for both my personal and professional email. Gmail has a great labeling and archiving system that lets users “delete/archive” mail without permanently losing it. The “All Mail” box in Gmail gives me peace of mind that when I delete/archive a message, it is usually retrievable with a search in All Mail. Gmail also offers a “filter” where you can set up rules to have certain messages skip your inbox and go immediately into a folder. I have a folder for “ecommerce” so “junk” emails don’t ever show up and clutter my inbox, but when I want to look for special offers and coupons, I know where to find them. I also take a moment to unsubscribe from emails I don’t want or that send me promotional emails too often. Most of these mass emails have an “unsubscribe” link at the bottom. Although I use all Apple devices, I do not use MacMail as my mail client. After some searching and trial and error, I found a mail client I like best for my desktop computer, called Postbox, and a separate app I use on my phone (Accompli). These products allow me to schedule messages to send later, to flag, label and file messages in my Gmail accounts. It is a personal preference, but I like the look and feel of these products over MacMail. If I ever decide to change, however, since I use Gmail and IMAP, I can easily switch mail clients without losing any email or email organization/folders. Don’t leave the email client open. DELETE: First delete or archive as many new messages as possible. DELEGATE: Then forward what can be best answered by someone else. DEFER: Move new messages that require more than two minutes to answer — and messages that can be answered later — to a separate “requires response” folder. DO: Set aside time each day to respond to email in the “requires response” folder or chip away at mail in this folder throughout the day. Setting up,understanding and working with one or multiple email accounts may seem intimidating. However, once set up, and good email practices are put into place, email is the best way to manage tasks and activities for your personal and business life. As part of her website design and development business, Tara Claeys is often called upon to set up email accounts for her clients. She has learned the hard way that understanding and setting up email is a valuable skill. She has lost sleep over potentially lost email after changing website DNS settings, and has had clients on the verge of nervous breakdowns when they could not access their email or figure out how to set up their accounts on their phones and computers. Tara loves technology and is always happy to help people find a comfort zone where they can love their devices and their email and put them to good use to make life easier! Contact Tara.